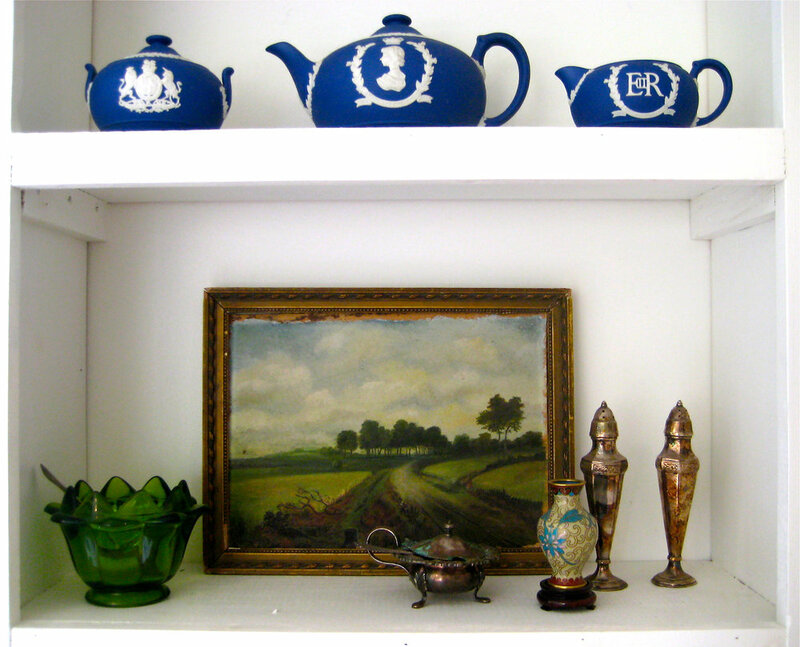 In my own home, I like to use a lot of unique antique accessories to add character to rooms. I love going to antique shops and hunting around for small things that catch my eye. The old NS sign above was one of my favourite finds. It's an old sign that was used to indicate picnic table locations. I have quite a few favourites, but these are a few others! A wooden trug and old croquet set. A giant old shell and basket. My fave whale bone and antique Quebec farmhouse painting.